WATCH: Orange is the New Black Season 4 Trailer | Nerd Much? 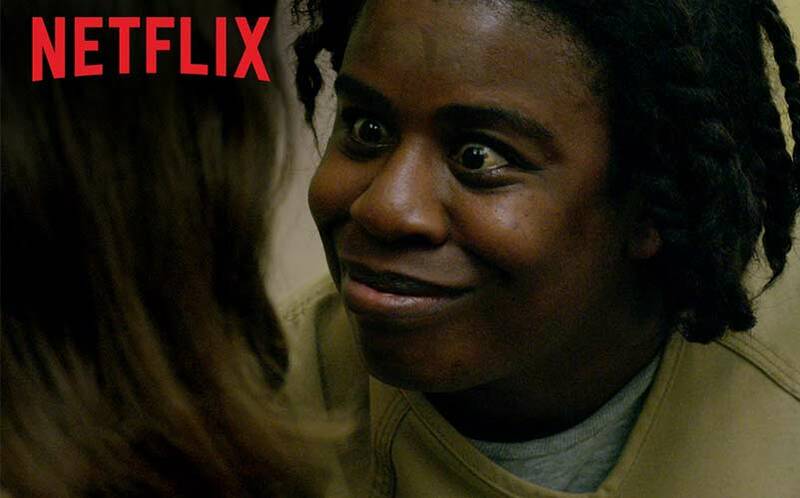 The official Orange is the New Black Season 4 trailer is here, and it’s intense. If these two-and-a-half minutes are any indication, we’re in for the show’s darkest and most dramatic season yet. Now that Litchfield has become a for-profit prison, it looks like it’s about to get pretty crowded. It only makes sense, as the show contains such a fascinating and dynamic casts of characters. Piper, by comparison, is rather bland. And often annoying, although I think that was the showrunners’ intention. Several beloved characters are conspicuously absent from the trailer, which leads us to wonder about their fate; will Nicky ever come back from maximum security, or Bennett from wherever to raise his child? Also, the end of Season 3 saw Alex fighting for her life in the greenhouse; although it has been confirmed that Laura Prepon is returning for Season 4, she has said that the greenhouse scene will pick up where it left off, so we have to wonder if she’ll survive the confrontation. And, just how long will Sophia spend in the SHU? The Orange is the New Black Season 4 premiere date is set for June 17th on Netflix.